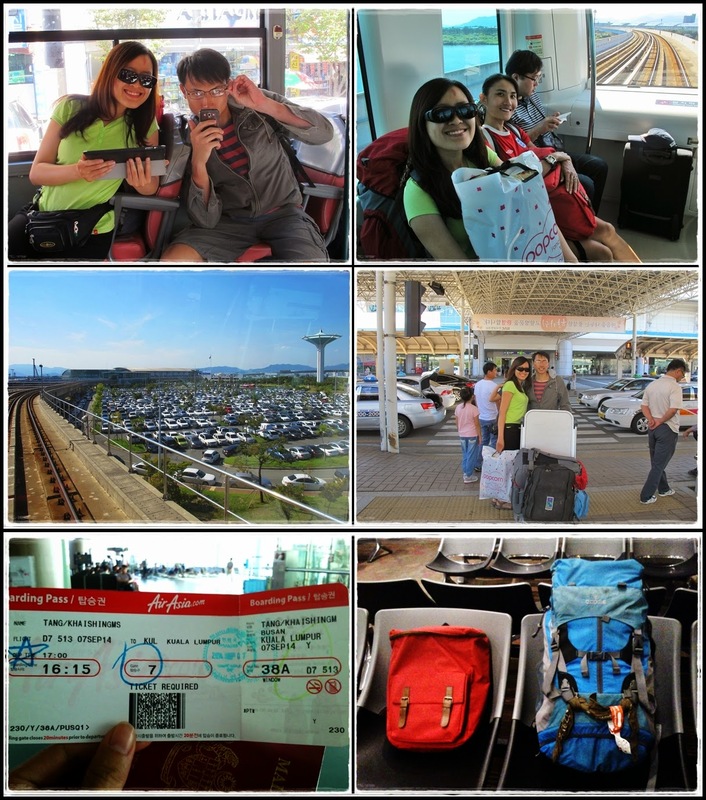 Falling asleep in Jeju and waking up in Busan...can't find a better way to describe our ferry ride. 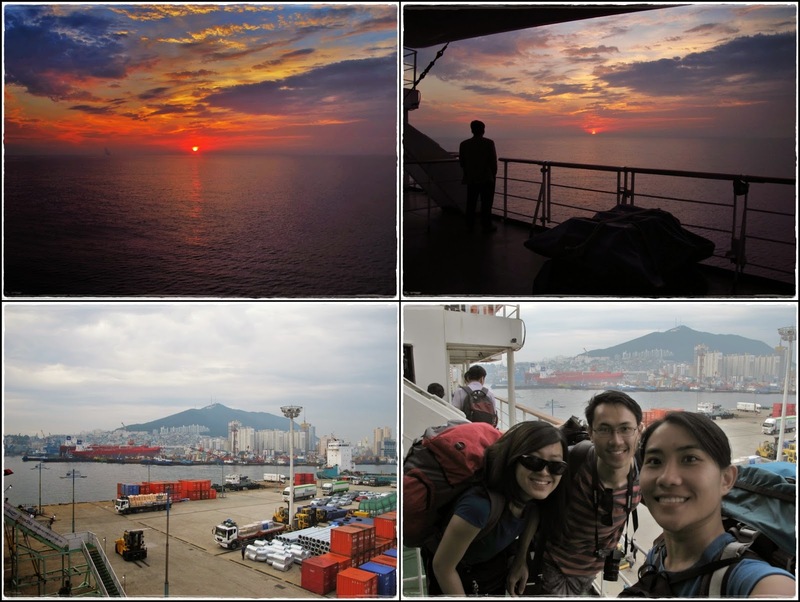 =P Better still, we got to watch the sunrise from the ferry before docking at Busan port at 7am. 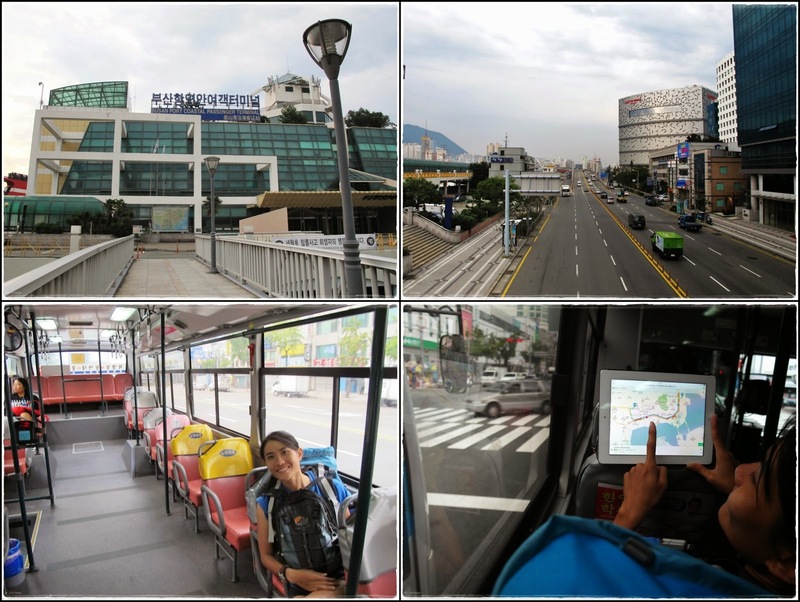 I didn't do much planning for Busan and since we had plenty of time and wifi access, we relied on Naver map to navigate ourselves to the hostel by public bus. Finally found Woori Guest House (used to be a motel apparently) hidden in an alley...looked a bit dodgy but it's good enough for us! For the price of KRW60,000 (RM186) per night for a 4-person room at such a strategic location, we really couldn't complain. 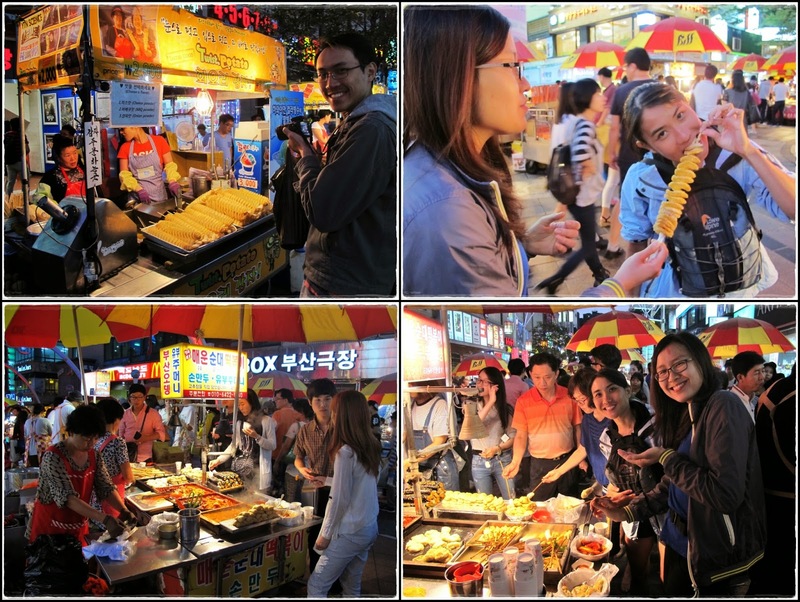 Korean street food for breakfast!! Toast, fish cake, rice rolls...yummyyy!! Since we couldn't check-in yet, we decided not to waste time and started our Busan sightseeing. 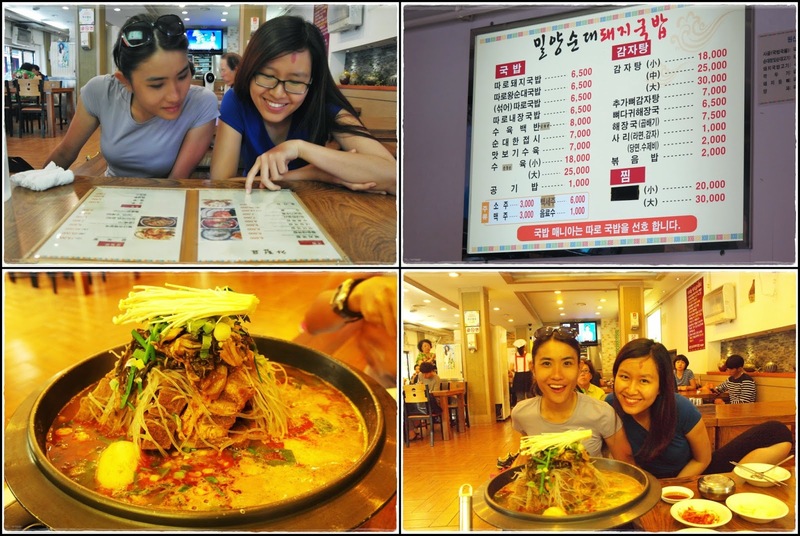 We gave a pass to all the beaches in Busan coz we've had enough of it over the past few days so we decided to visit only one attraction - Gamcheon Cultural Village. As I mentioned earlier, our hostel was in a strategic location and it took only 10 minutes by mini bus (KRW1,000 ; RM3 per pax) to get to Gamcheon. 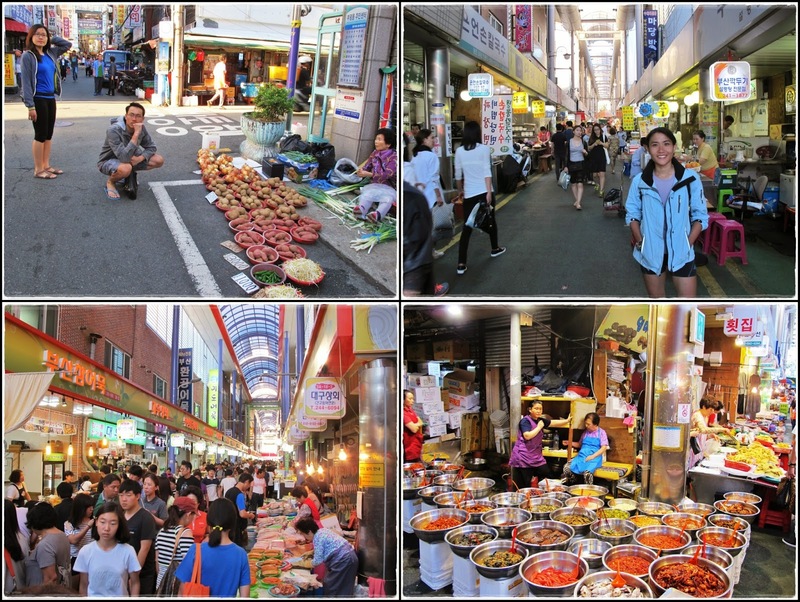 "Gamcheon-dong used to serve as a refuge during the Korean War. 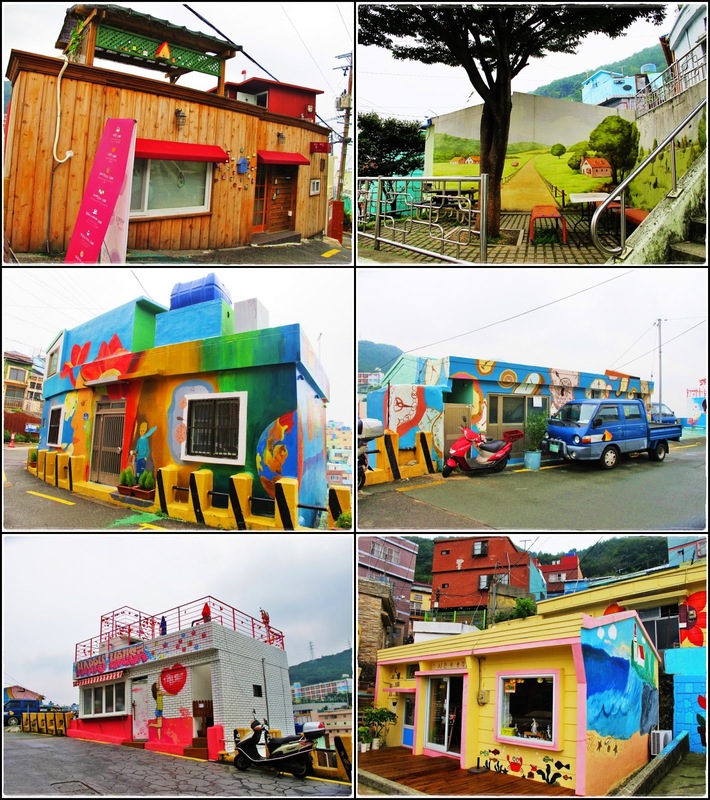 Through a series of art projects in 2009 and 2010, Taegeuk Village is now completely transformed. 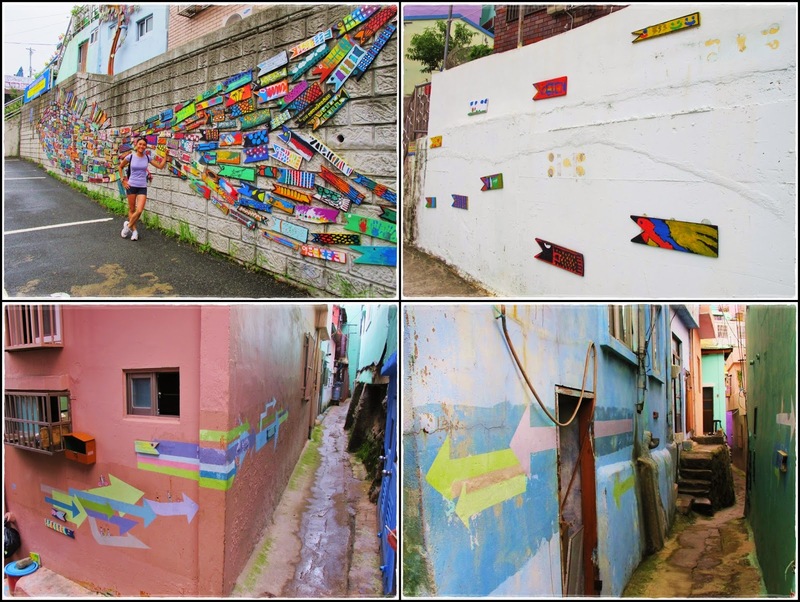 The once deserted houses and alleys are now reborn as representative cultural arts space of Busan." Colorful artsy houses all around this village. 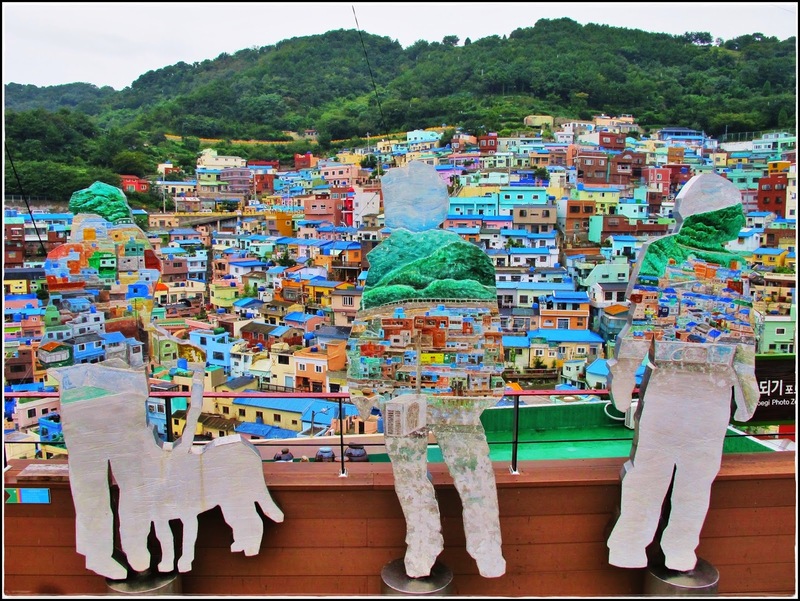 Great view of the colorful village from Haneulmaru photo zone. The whole village looks like a drawing. Too bad it was gloomy and raining during our visit so the photos didn't turn out as well. 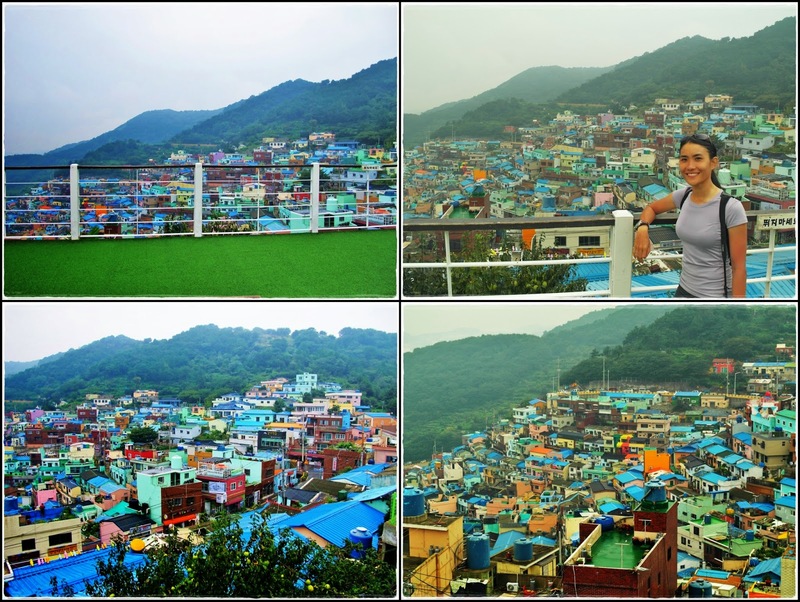 Running Man filmed one of the mission on the rooftop of the Gamnae Community Center during the Busan episode with Choi Jiwoo. Too bad we missed out this viewpoint during our visit but for those who are interested, it's No. 17 Gamnae Eoulteo photo zone. Interesting artsy drawings and designs at every corner of the village. 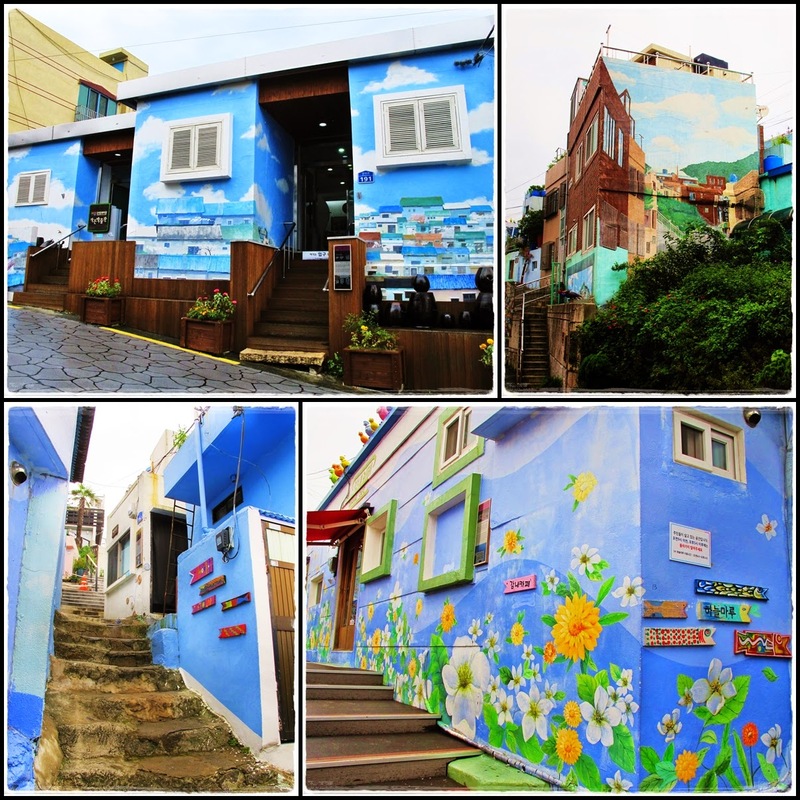 Lots of cute colorful houses. Hanadoegi photo zone. There should be an angle to blend the figures with the background but I couldn't figure out how. After spending 2 hours exploring the colorful artsy village in the rain, it was time to head back. Had some porky steamboat for lunch at a restaurant near our hostel. It was pretty good!! All of us passed out for the entire afternoon after checking into our room...shows how tired we were...lol!! 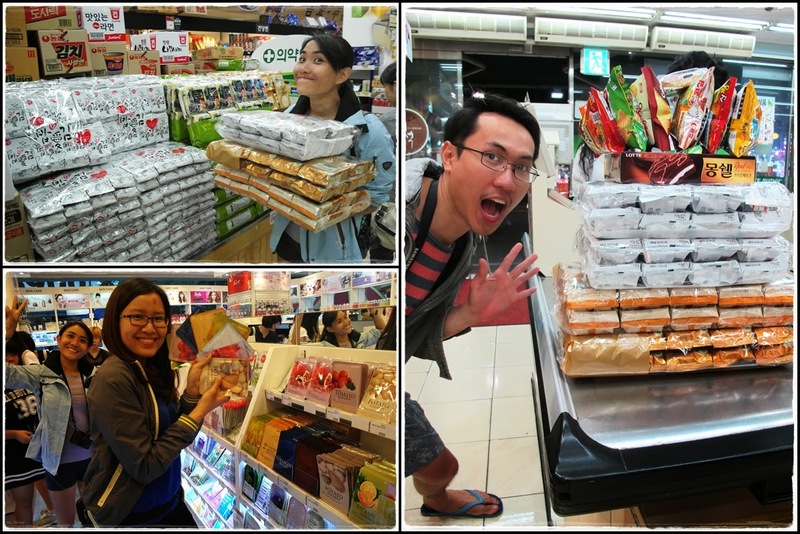 Woke up at 5pm and quickly headed out for some shopping around Gwangbo-dong. As compared to the morning, the street was much more crowded and happening at this hour. Plus, it was a weekend so everyone was out shopping. Strolling around Gwangbok-dong. 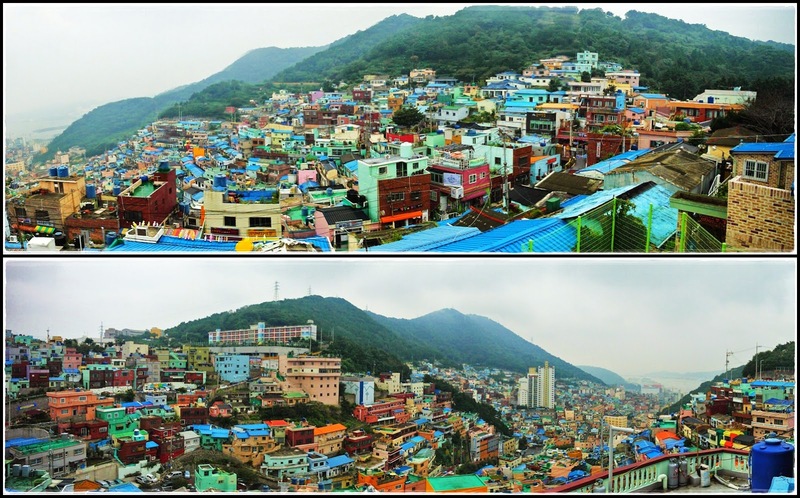 The annual Busan International Film Festival is held around this area as well. 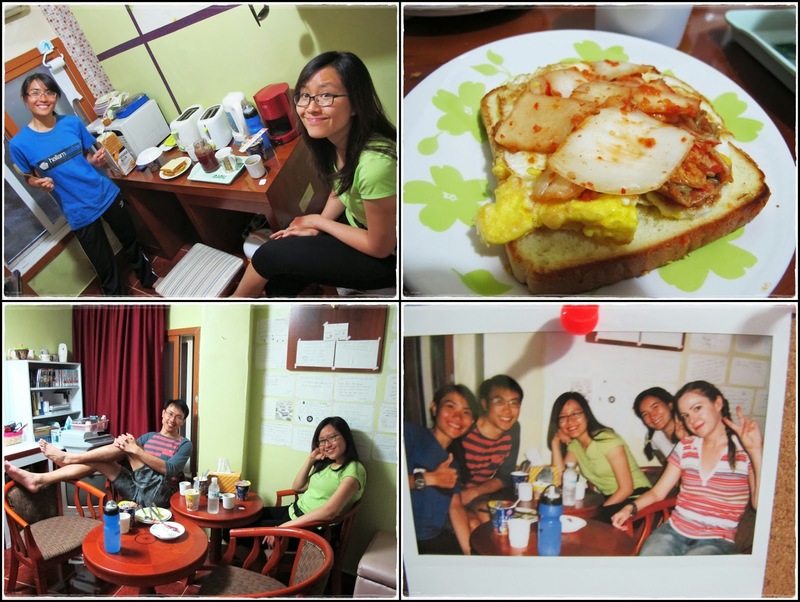 Free breakfast at the hostel - they had cup noodles, eggs, kimchi, bread, etc. Made a fried egg+kimchi bread for bro...haha! Btw, the lady host of the hostel was very nice and friendly. One of my 'mission' in Busan was to buy a backpack for myself. I was lucky to find shops that sells the backpacks that I like! I ended up buying 2 backpacks coz they were cheap!! Lunch at the same restaurant as yesterday before going to the airport ...more yummy oink oink! !